In an attempt to present those who love online casino games with an impressive lineup for 2013, Microgaming developed a collection of festival themed games. It all begins with the first celebration which is Saint Valentine’s Day and in honor of this joyful day, the software developer released Burning Desire. The slot game has 243 ways to win and the top payout is of 3000 coins, with players being required to unveil five wild symbols. There is no shortage of free spins for those who find three or more scatter symbols, and the gamble game is by now a common feature in Microgaming slot games. 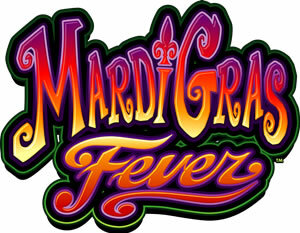 Mardi Gras starts a bit later, but players can already enjoy a slot game depicting the popular festival with Mardi Gras Fever. Every single symbol that graces the reels gets you thinking about this year’s event and the generous payouts are only the icing on the cake. Among the signs that players will discover scattered on the reels, the most striking ones are the Samba dancing calls, a jester, jazz musicians and dragons. Perhaps one of the most anticipated event is Saint Patrick’s Day, but those who prefer to celebrate this day somewhere else than in a bar or pub, should check out Rainbow’s End. This is Microgaming’s take on the yearly event and it can be a very lucrative way of spending the holiday. There are two symbols that offer top payments, and these are the pot of gold which works as a wild symbol and the leprechaun. This is the scatter symbol and when at least three of them are discovered, players received 15 free spins.